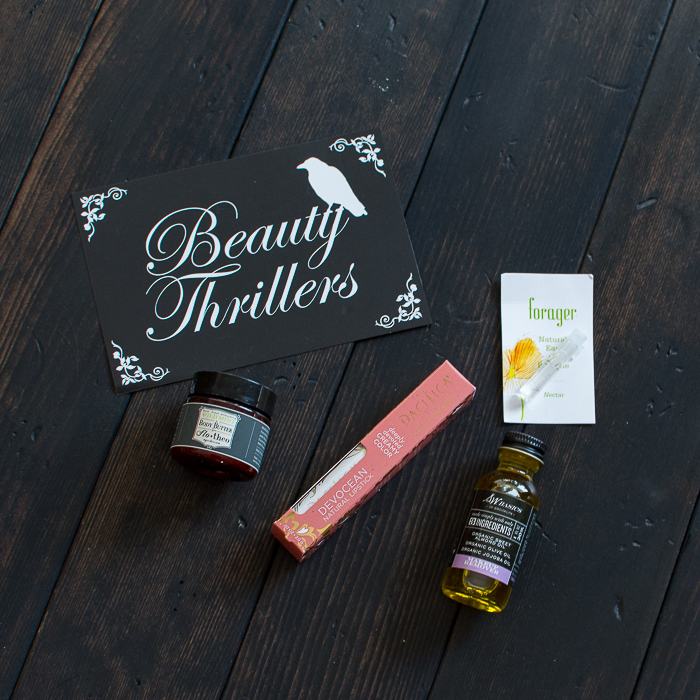 My review of the October 2014 Petit Vour subscription box (my 7th box). 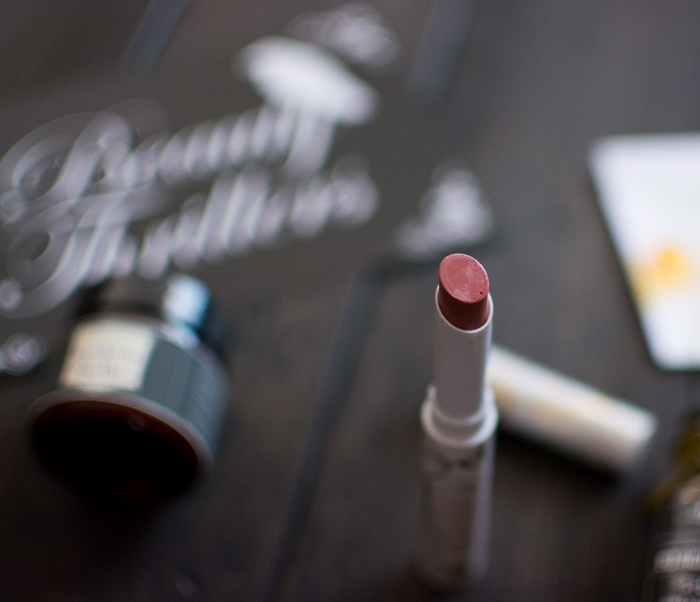 Description: A full color, 100% natural, hydrating natural lipstick that lasts with intensity, like the deepest love. Creamy hydration, highly pigmented, and chock-full of anti-aging benefits that love your lips. For the softest, most kissable lips ever. Let’s just say I own all the colors now. Tenderness is a rich darker coral-still a neutral, but not boring. The Devocean lipsticks are creamy and buildable. One application for a lighter look and two or three for more presence (especially with the darker colors). Confession. Every time we are near a Target I go there specifically to look for Pacifica products. Sigh. Description: This whipped-to-perfection body butter is highly concentrated with the finest ingredients nature has to offer (meaning a little goes a very long way). Cocoa Butter and Shea Butter, the key ingredients, are naturally rich in Vitamins A, E, and F, ensuring glowing and healthy skin. It looks like stiff bright whipped cream. It’s very luxurious and just what winter skin is craving for. Description: This beautifully scented all natural eau de parfum has notes of succulent florals, citrus and honey. **Fear not, no actual honey is in this formulation. I love the packaging and design of their products. Maybe Nectar just wasn’t for me. It kinda of smelled like herbal alcohol. Description: S.W. Basics uses the simplest possible blends of impeccably sourced, whole ingredients to create products that truly work. Why? Fewer ingredients = less chance for irritation, higher potency, and a smaller overall ecological impact. 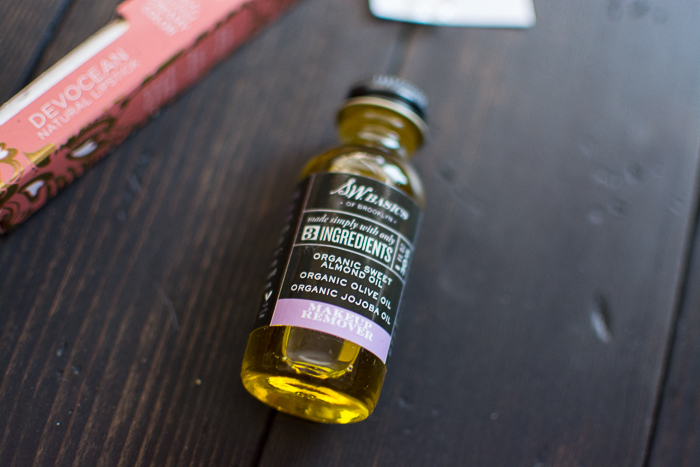 A simple blend of 3 oils, almond, olive, and jojoba equals a simple but effective makeup remover. Put a little on your fingertips and swipe over your eyes focusing on the eyelashes if wearing mascara. Let sit for 15-30 seconds and gently wipe off with a cotton ball or warm damp washcloth.